Making a comeback this year after a layoff of 6 months has been difficult especially after an injury riddled season last year. Bricks that could have been laid last year were left abandoned so I have had to build a house on wet cement. 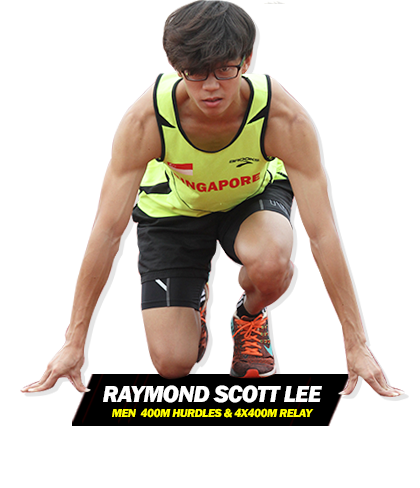 I won the 400mH during SJI sports day when I was Secondary 3 so my coach said let’s try you out for 400mH. Eat clean, train mean, get lean. My favourite hobby is lying on my bed with the aircon on when it is raining. I have 48 hours day because I plan my time. And try to wake up early. Hurdle sessions twice a week, gym once a week and run twice a week. Sweat is the oiling of a dream.